$4.95 flat rate Priority Mail on ALL Orders! Works on rubber, plastic, vinyl and leather. Cleans and restores color and luster. 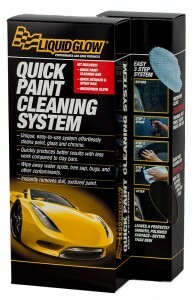 The fastest and easiest way to clean paint while waxing it too. Contains genuine Carnauba wax for a deep, warm shine. Works even in direct sunlight without streaking or hazing! Glaze and polish are often used separately to prep cars for the wax layer. Glaze fills in scratches, swirl marks in paint and polish smoothens. “Before winter I waxed two of my cars using two different brands of products. One of the waxes was a competitor’s product and the other was Liquid Glow Sealant Wax. They were both driven equally over the harsh winter, and when spring came the difference was unmistakable. When I began my first wash of the year it was clear that the water beaded significantly less on the car that had the other brand’s product, while the Liquid Glow products still had plenty of water beading. The Sealant Wax lasted much longer, was more durable and stayed on the paint much better than the other brand product. Liquid Glow is very high quality and produced shine and depth months after the wax was applied. --Richard L., from Nashville, TN. 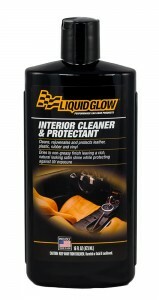 Liquid Glow® performance car care products produce results that make cars look great while being easy to use. Our products use only the finest ingredients, including genuine #1 Brazilian carnauba wax and the finest synthetic polymers. 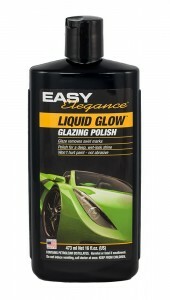 From rarely driven show cars to daily drivers, Liquid Glow delivers an easy-to-use line of products that will make any car glow with a deep radiance. 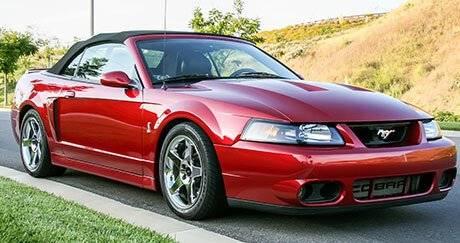 Liquid Glow began with a passion for auto detailing and drag racing. Products were developed that were fast and easy to use and worked great even on the tough challenges faced by racers at the track. We developed a high quality line of polish, wax, quick detailer, wheel cleaner and car shampoo that are all made in the USA. But we didn’t stop at chemicals. 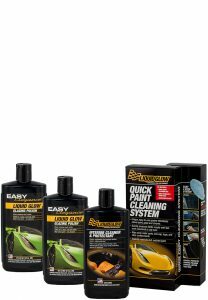 We have developed a revolutionary new product, the Quick Paint Cleaning System, to battle the toughest of car detailing needs. This new system cleans, polishes and waxes better, faster and easier than any other cleaning product on the market. 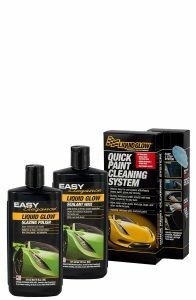 Clay bars are a thing of the past at Liquid Glow car care products—our Quick Paint Cleaning System is so good and easy to use, clay bars are now obsolete. Copyright 2015 Liquid Glow Car Care Products. All Rights Reserved.